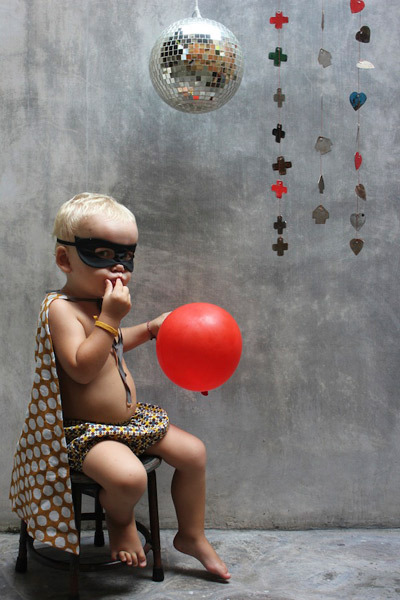 FK chats to Sunshine Coast based Fliss about her fabulous kids label Udder. 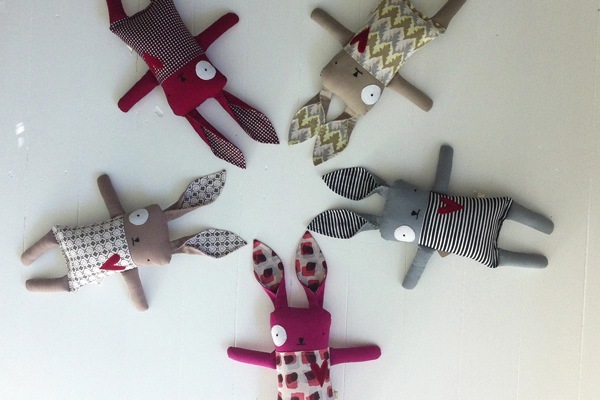 Udder is a small children’s label specialising in handmade clothing, accessories and dolls. 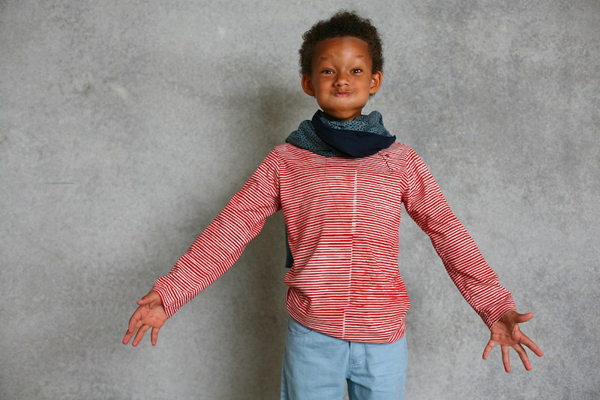 We use both new and recycled high quality fabrics which are hand printed and hand dyed. Utilizing traditional Indonesian Batik, Tie and Dye, Silk Screens with a manual brushing and airbrush as well as wood block print. By using these techniques the finished fabric is unique and original, a quality which in a world of mass automated production is becoming rare and a quality which we strive to maintain. I came up with the name ‘Udder’ many years ago when I was studying Ceramics at ANU school of Art. I was making sculptural and functional ceramic pieces, and I wanted to have an alias or mark instead of my name. The Udder became that alias for a number of reasons – it was quirky, fun and a link to the work i was making (abstract sculptural cows). It was also to me a vessel and a giver of life…in my mind i was giving life to the pieces i was making. I kept the name Udder for years and it has been with me ever since. It felt even more significant to use after becoming a mother as I was introduced to the world of kids it seemed the perfect fit….. its short, humorous and memorable (just like some kids you meet!). What inspired you to start your label and who is the team behind Udder and what are their roles? After the birth of my first child (11 years ago) I was frustrated with all the plastic and synthetic toys on the market, so I started to sew soft toys (from vintage and recycled fabrics) for him. My children have always inspired me and like they have grown so has Udder slowly. We are a family team and each of us have played a role along the way. From the support of my husband and his graphics to the kids modelling our clothing and drawing t-shirt designs. We have also been fortunate in the last couple of years to have aligned ourselves with a small production house in Bali and have a very close relationship to them there where all our ideas now come to life. 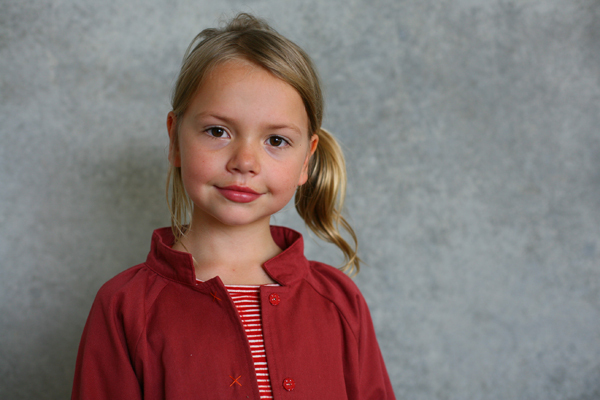 What do you love about working with children’s clothing and your handmade friends? and what keeps you creatively motivated? 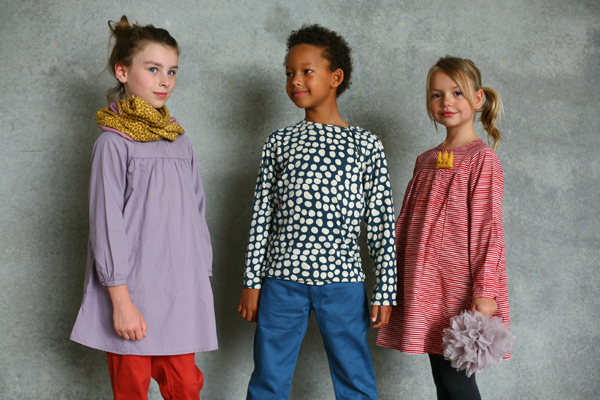 I love seeing my ideas of colour, pattern and styles come together in the children’s clothing. Designing clothing which is comfortable, practical and a little bit different at the same time is so satisfying and seeing children wear our creations… well its awesome!!! 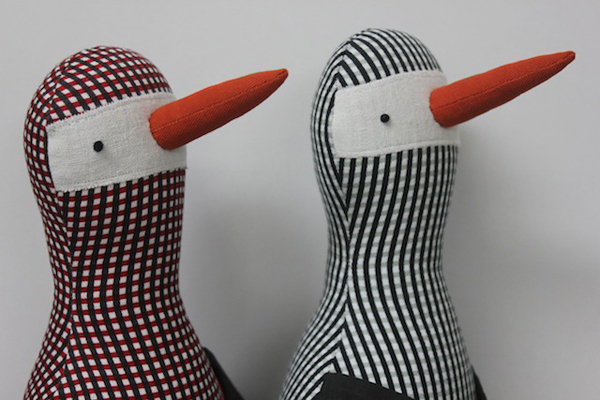 I love hearing too that our handmade friends are collected by children and adults alike, they seem to appeal to a broad age group which I really like. As for keeping me motivated, my children are a huge part this…..I like the way they think, they are bold and straight down the line. Spending quiet moments drawing, and creating art with my kids finds me coming up with new ideas. We live in a big old Queenslander in the Sunshine coast hinterland which we have been slowly renovating for the past 7 years. We work from home and are about to move our office/studio from one side of the house to the other which is very exciting as we have spent time renovating this small space in the house. Its all white at the moment (until I decorate!) and full of light with beautiful windows….its going to be a perfect new space to design from! In Bali I am surrounded by the fabrics from end of runs from past collections from Italian designers. I spend time going through the fabrics and putting together our accessories collections. What comes after are small limited runs of beautiful Handmade friends, Cape and Mask sets, bloomers, bibs and nappy clutches without printing metres of fabrics. This process of designing inspires me so much! I started out by making every handmade friend (dolls). I wanted to further my creativity and with a serendipidous event and what was intended as a holiday to Timor grew into an idea to produce in Bali. We moved there for a year which enabled us to have a very hands on experience, make sure things were done ethically and have an incredible family adventure living in Asia. It came with many challenges and frustrating times, but the good times sure outweighed the bad! Back in Australia now the challenges are not being close to our makers….we miss them and also not being part of the making process. I have loved learning something new each day setting up our label, but it also has stressful times too! Running your own business with 3 kids in tow and juggling timing for collections has been a real learning curve. What new projects are you working on and where would you like to see Udder in the future? At the moment I am working on a very small collection of clothing Summer ’13, more Cape and Mask sets and adding a few more different pieces to our collection. I hope to add ceramics one day as I still have a big passion for creating with clay. In the future… I still dream of having a bricks and mortar store! so great to learn more of fliss and her family. a wonderful insight into the creative soul she is. if only udder were around when my kids were younger! beautiful work, fab interview fk. m.
I really like this collection, congratulations. I really like the designs and individuality of the clothes, and that kids can mix and match pieces to suit their own style. Your bunny designs are fantastic, so quirky and cool.